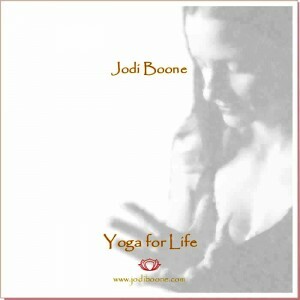 Jodi has recorded an audio yoga class available for download. This 75 minute practice is ideal for the times when your schedule does not allow you to attend class at a studio or if you’re traveling for work or away on holiday. The practice offered is what you experience when you come to my class – a fluid, steady pace, delivered with gentle and encouraging guidance. To purchase the audio MP3 version of the recording through Paypal for $10, please click the Buy Now button below. Upon receiving confirmation of your order, I will email you a link to download the MP3 file. Thank you!